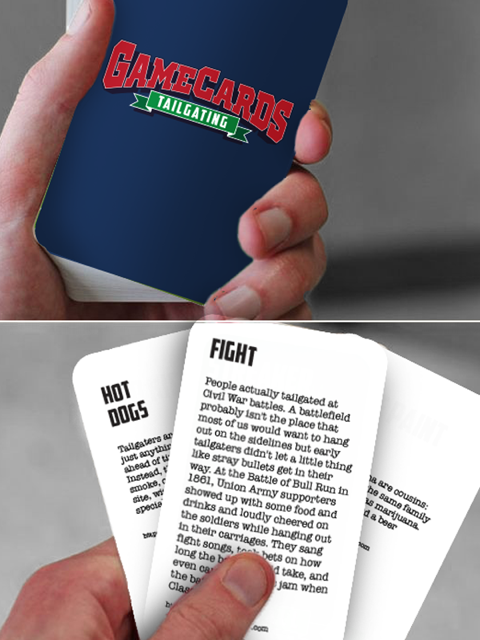 A new card game called ‘GameCards Tailgating’ is coming soon. It is a card game based on a scavenger hunt for people tailgating. Created by Sue Schroeder, the game is social and interactive with convenient multiplayer options. The Wisconsin based company has announced that they will be seeking public support on Kickstarter in order to make this game available for everyone and they are welcoming your generous support. “GameCards consists of a deck of 52 cards plus one instruction card and these cards list items to be found at the event where each card is rich with trivia about the items you are seeking.” said Sue Schroeder while introducing the game. “You can play this game for beer, prizes, cash or just plain fun and we have created it for age 12 and above.” she added. Sue is a renowned graphic designer with more than 20 years of experience and a long list of clients. In addition, she also teaches designing at the college level.